Anyone who has spent enough time around me (which sometimes might mean about five minutes) has been asked the question: “If you had to replace your fingers with any kind of utensil, what utensil would you choose?” This is one of many silly questions crafted by my brother, which I now use to get to know people. For as much as I love seeing different people’s personalities come out in response to weird questions (and believe me, I love it a lot), I have to say that getting to know people’s passions is better. During my first week at ICRISAT, the absolute best part has been talking to people, learning why they chose development, and getting to know why they love the projects they are on. Through TCi, I get to be a part of a project that gets to know people, what they need, and how to positively impact people’s lives. One of the main things I’ve seen while I’ve been here is that development is certainly an all-hands-on-deck kind of field. Apparently, working towards food security isn’t just for food scientists and agronomists. Just from my team of interns, I’ve seen how passions for biology, economics, public policy, business management, and even chemical engineering have led people to work on feeding people. 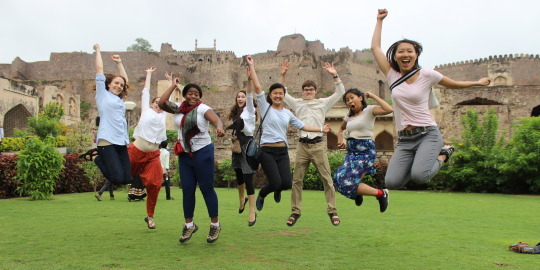 Getting to know each other better during time tour of local sites in Hyderabad, including Golconda Fort. Not only do I get to glean information and see people get excited about projects I didn’t know existed, but I get to work with professionals who have been doing for years and years what I hope to do in my future. 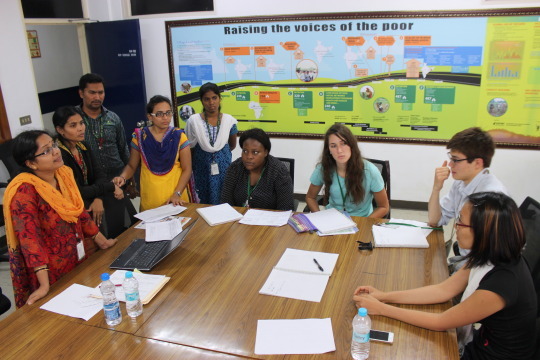 On the first day, my project leader explained the ICRISAT nutrition studies that we would be adding onto and how we would be contributing to a dataset that has been accumulating information since 1975. 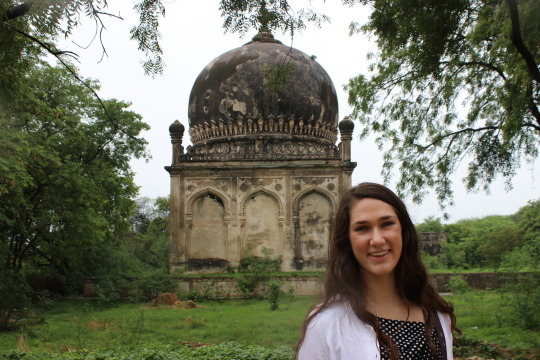 Hearing her expertise and seeing how assessing the nutritional climate of rural India has led to meaningful change made me ridiculously excited and grateful to be on this project. In the coming weeks, I’ll be collecting data to add to this project, and in the process, getting to know villagers and asking about dietary intake. Maybe while I’m asking people about their diets, I’ll ask them what utensils they would have as fingers.